Bishop Auckland College Sport’s Department would like to announce that our annual Staff v Students Charity Football Match in aid of Cancer Research UK is this coming Friday, 19 May at Heritage Park. Gates open & activities start at 5pm with Kick Off at 6pm. Bouncy castle, Face painting, Sporting activities for the children & more! Entry is £2 at the gate, Under 10’s free. And a big thank you to Cockton Hill Infant School for providing the fantastic little mascots for the night! The match is being played in loving memory of Brian Watson, Volunteer & Director of Bishop Auckland FC, and much missed uncle of one of our teachers, who sadly passed away in January after a short illness. 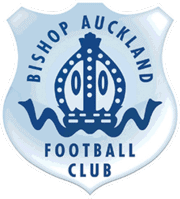 Big thanks to Bishop Auckland FC for allowing us to host the event at Heritage Park for the fourth consecutive year, helping us raise lots of money for some very worthy charities. And to Football Championship Referee Nigel Miller for agreeing to come along and officiate the game. Please come along and support the event & help raise lots of money, this year, for Cancer Research UK in Brian’s memory.